This afternoon, the Blogworld crowd in Vegas hears from the master of social media in health care, Doug Ulman, the CEO of Livestrong. While reporting on the cancer foundation for the November issue of Fast Company (on newsstands Oct. 26), I saw firsthand how important the medium is to the organization and how adept Ulman and his staff are at using it. Does your office have a large screen that displays the latest staff tweets and mentions of your organization? That’s the future. Livestrong is already there. The foundation has built the largest Twitter audience of any health-care organization. The American Cancer Society dwarfs it in fundraising, but CEO John Seffrin told me that Livestrong is leading the way in social media. It’s no surprise that Lance Armstrong ranks in Twitter’s top 30 with more than 2.6 million followers. But Ulman? He has almost a million followers, which puts him in the top 270 and makes him one of the highest ranking CEOs. Twitter allows Livestrong to stay connected to its community, which is important given that the foundation is unusually hands-off with supporters. It doesn’t have local chapters. It lets survivors and supporters organize local events and decide what Livestrong does in their city or town. When a Hollywood exec told Ulman he wanted to host a Livestrong fundraiser, Ulman mentioned it on Twitter. Within a day, a few dozen supporters in L.A. had volunteered to help out. “Unlike people who say they want to try new stuff but never actually do anything, Doug will do it that day,” says Chris Sacca, a former Google executive and angel investor in Twitter. He and Ulman cooked up a virtual Livestrong wristband for Twitter profiles and launched it almost immediately, expanding Livestrong’s visibility throughout Twitter. Ulman told him. Sheekey thought he was kidding. Then Sheekey looked it up. “He isn’t Lance Armstrong. He isn’t a celebrity. Nearly a million people follow what he says because he runs Livestrong,” says Sheekey. After Livestrong ran a story on the mayor in its quarterly magazine, Sheekey asked Ulman to retweet the story. Turns out, Bloomberg has less than 31,000 Twitter followers. Read the November cover story on Livestrong here and read all of Fast Company’s coverage of Livestrong here. 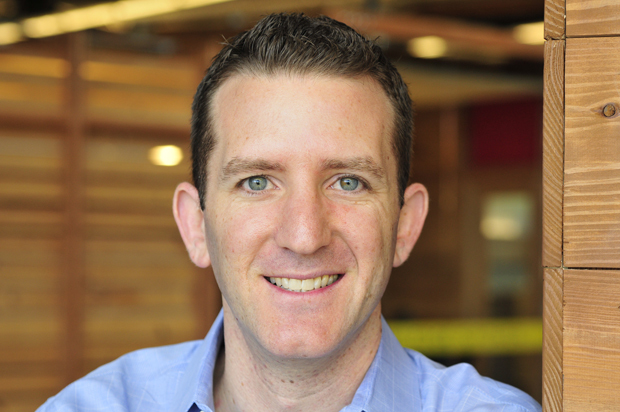 Don’t miss Doug Ulman at Fast Company’s Innovation Uncensored 2011 event in April.